Until I actually convince Kacey to start her own blog (she should--she's much funnier than me! ), here's a post that might be appropriate for Simpletons in the Kitchen. You can't get much more basic than tacos. Coming from The America's Test Kitchen Healthy Family Cookbook, these tacos are a somewhat healthier alternative than you standard ground beef tacos. Instead, ground turkey is used in the filling, a lower fat and lower calorie alternative. Despite the change, and turkey's reputation for being both dry and flavorless, I'm pretty sure no one would even notice the swap. The sauce is so flavorful and juicy that it tastes like the tacos you grew up eating! 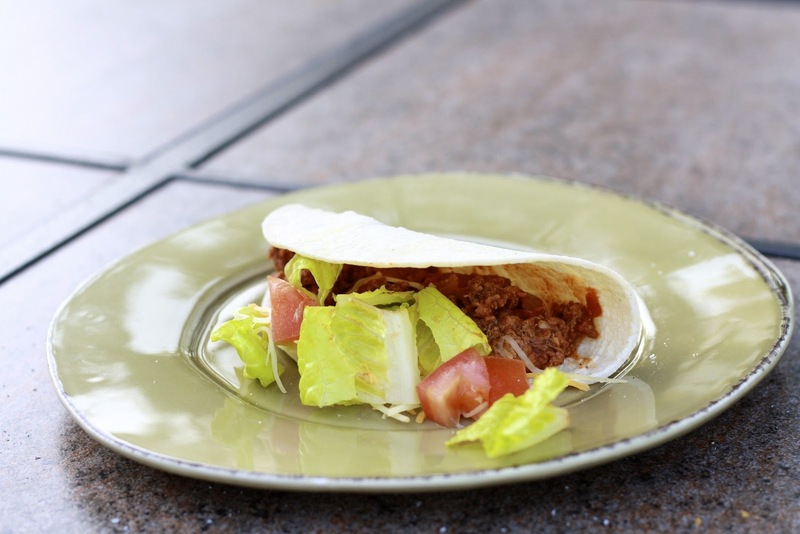 We made tacos with corn tortillas, but you could just as easily use hard taco shells, flour tortillas, or even make a taco salad with tortilla chips. 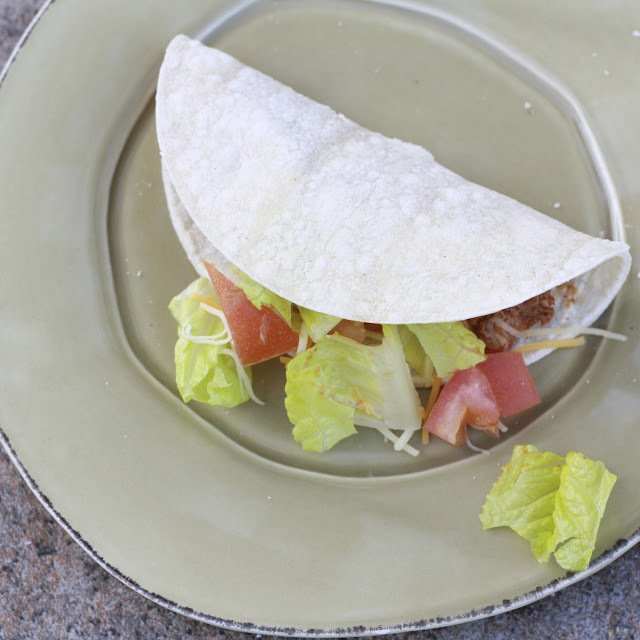 Load up your tacos with your favorite fillings and enjoy! 1. Heat the oil in a large nonstick skillet over medium-high heat until shimmering. Add the onion and cook until soft (approximately 5 minutes). Add the chili powder, garlic, and oregano and cook for an additional 30 seconds. 2. Add the ground turkey and cook, breaking up the meat with a wooden spoon, until cooked through. 3. Stir in the tomato sauce, broth, vinegar, and brown sugar. Bring mixture to a simmer and cook until thickened (4-5 minutes). Season with salt and pepper to taste. 4. Top tortillas or shells with turkey mixture and desired toppings. *Note--filling can be made ahead of time and kept in the fridge for up to 2 days. Reheat in a covered saucepan over medium-low heat until hot (additional broth may be needed to loosen the mixture).